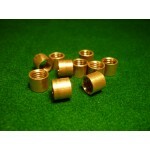 These heavy duty brass ferrules not only look smart but are practical as well. These brass ferrul.. 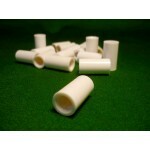 These are inexpensive white plastic ferrules. They are 8 mm inside diameter with a glue relief sh..